Located on the giant peninsula of the Peloponnese, Ancient Messene is possibly the most underrated archeological site in the whole of Greece. This ancient city was, unlike most others, untouched by the later settlements and thus has preserved outstandingly; perhaps the best-preserved from antiquity. The excavation of this site has been relatively recent compared to Epidaurus or Delphi and therefore it is still a bit off-the-radar. That being said, the archeological site of Ancient Messene is inarguably one of the most impressive given its sheer size. The site has been steadily uncovered for the last 100 years but only a third of its total size has been excavated so far! The remains of this tremendous ancient city are complete with a grand ancient stadium, Ancient Agora, an ancient theatre (with a capacity of up to ten thousand spectators), and a fountain house. It is so well-maintained that you can clearly envision the city in all of its glory, making it an extraordinary experience. There is also a museum located directly next to the archeological site which is home to the thousands of findings uncovered by archaeologists. The Ancient Museum of Messene is fascinating to visit after discovering the site. With an extensive catalog of artifacts, you will be able to color in the image of the city you have created in your mind’s eye with artwork and sculptures. The site is open from 08:00 to 20:00 in the summer months and adult tickets cost a mere EUR 12. You would need at least 2 hours to tour this ancient site, but one could easily stay there and explore for hours on end. You can find more details about opening hours and varying ticket prices here. As it is just a 3-hour drive away from Athens, one could make a day trip out of it, stopping at the exquisite Italianate town of Nafplion for a walking tour or the wine country of Nemea on the way! Messene is also unusual in that none of the visible remains of the site are any older than the 4th century BC. This is interesting because the city of Messene developed later than others like Athens and Corinth, despite it being located in one of the most fertile areas of the country. This is explained by the fact that Messene was built in 369 BC by the great Theban army general Epaminondas, who broke the Spartan military power and liberated the Messenia region. Before that, Messene was controlled by Sparta for hundreds of years; Historians and archaeologists have little information about the time that Messene was under the Spartans, but they do know that it was a time where the Messenians were subjected to live as surfs, unable to express political or cultural freedoms. That being said, Epaminondas freed the Messenians and designed a city that would be strong enough to defend against another potential Spartan attack. This stunning site lies in a serene valley, surrounded by the Arcadian Mountains on one side and the Mediterranean Sea on the other; a truly a spectacular setting. The ancient Greek traveler and geographer Pausanias describes the city in great detail in his ancient writings and it was clear that he had the city of Messene in high regard. He describes theaters, sanctuaries, temples, statues, a gymnasium, springs, and an agora. He also mentions how strong the surrounding walls were. Indeed, the remains of the Arcadian Gate demonstrate how strongly fortified the city was and, also, how technologically advanced they were. The city walls stretch for 9 km and are flagged with towers and battlements still clearly visible today. Messene was designed and built in line with the Hippodamian style. Hippodamus was an ancient Greek architect and urban planner and has been acknowledged as the inventor of formal city planning. He fathered the concept of shaping a city in symmetrical rectangular grids. At the time, this was a pioneering idea, as cities typically looked more like labyrinths to make it harder for foreign invaders to navigate. Hippodamus would designate areas in the center of the city to serve as sacred public space and then build around them, in a systematic and organized way, instead of choosing these areas at random. Basically, Hippodamus would place all public life: government buildings, agoras, theaters, and shrines in the center of the city and then surround it with a grid of streets which were private. This is the earliest form of the practice we know today as zoning. As soon as you step foot through the Archadian Gate, you will notice the Hippodamus style symmetry, which certainly adds to the city’s grandeur. 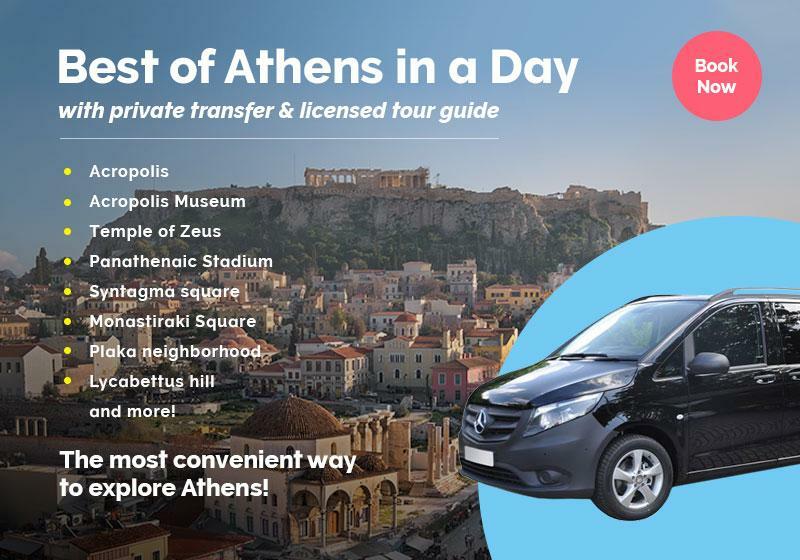 The team at Greeking.me has developed a carefully thought-out 10-15 day itinerary that aims to focus on all of the most fascinating and unique archeological sites that our country has to offer, Messene included of course! The tour also focuses heavily on local gastronomy which calls for the perfect vacation! Although this beautiful country is saturated with ancient archeological sites that are all mind-blowing in their own way, Ancient Messene may just be the most impressive of them all.